When you have a pond or other body of water on your residential or commercial property, controlling weeds is an ongoing issue. 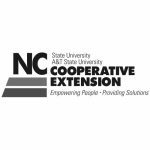 Below we discuss some of the most common types of weeds found in North Carolina and the hazards they create. common around boat ramps because it adheres to the bottom of the boat and boaters spread it through the water unintentionally. Herbicides and the limited use of certain insects are the best way to control alligatorweed. However, success with both flea beetles and stem borer moths has been limited due to the insects’ inability to survive the winter. 10 days. Like alligatorweed, salvinia molesta is often spread from the bottoms of boats. 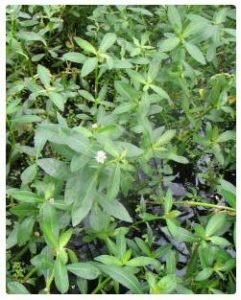 This weed can cause great damage to aquatic ecosystems as it can grow up to two feet in length, preventing vegetation underneath from growing properly. Waterfowl, wading birds, reptiles, and other water creatures will have trouble finding a food source if this weed grows uninhibited. The indigenous weevil bug is the most effective at controlling the spread of salvinia molesta. This plant is so aggressive in its damage that the USDA bans its entry into the country. 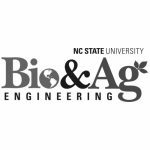 However, it still grows in North Carolina as a noxious aquatic weed. You will recognize its long roots protruding from the water. It can creep as far as 10 feet below the surface. Some of the problems it causes include habitat alteration, intake fouling, and the inability of people to use the water for recreational purposes. The best way to prevent the spread of hydrilla is for people to check the bottom of their boats when docking and taking off from a dock. 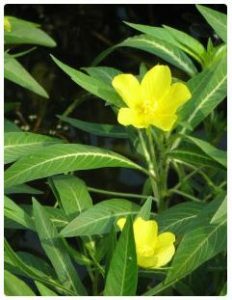 Creeping water primrose has bright yellow flowers, making it easy to spot in ponds, lakes, and rivers. It first forms a wooden mat before turning woody and forming stocks. When this type of primrose become dense, it provides mosquitos with a large breeding ground. It also degrades the quality of water, making it unhealthy for wildlife and fish to consume. 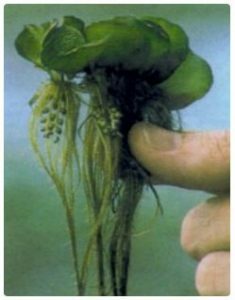 Herbicides are the only known methods of control for this water weed. 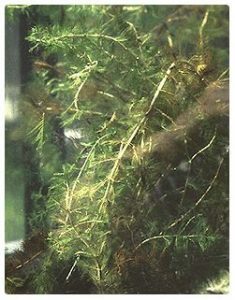 Eurasian watermilfoil is a top offender because it can form large infestations and survive in a wide variety of water conditions. Its leaves are branched, short, and resemble feathers. This weed generally grows thick mats and develops tiny floral spikes that appear just above the surface of the water. 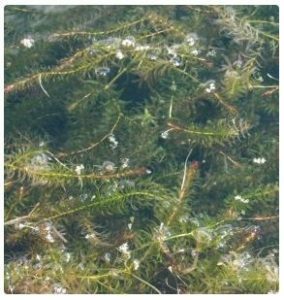 Because it’s resistant to cold temperatures, the Eurasian watermilfoil starts growing early in the spring season and can prevent vegetation from getting the proper amount of sunlight. It’s a low-quality source of food for waterfowl and it degrades water quality overall. Chemical and biological control are the best ways to prevent this weed from emerging and killing it when it does. Herbicides are only minimally effective. 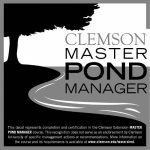 Regular monitoring and maintenance of your retention pond is vital to preventing costly repairs. If you recognize these weeds or aren’t sure if you’re dealing with water weeds or not, contact Stormwater Solutions Group to discuss a prevention and weed control program. With spring officially underway, this is the best possible time to do so.